In the weekend Bosnia invited Macedonia for two test games, as the Bosnians are preparing for upcoming WC qualifications in Sarajevo. 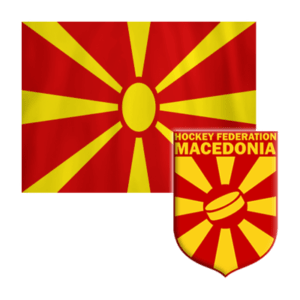 Macedonia won the first game 8:7 (3:2,3:1,2:4), not even the Macedonians who are still not eligible for IIHF tournaments expected a victory in the first road game. Star of the game was Team Macedonia captain Davor Anastasov with 4 goals. Stefan Deckovski scored twice, Kristijan Tashevski and Dmitrij Prokudin scored each one goal. Game two was in the first period in favor of the Bosnians who took a 3:1 lead. But Macedonians fought back and after regulation time the score was 6:6. The following overtime Macedonia dominated but the Bosnians made the score and took the victory 6:7. Scorers for Macedonia in game two: Dmitrij Prokudin and Davor Anastasov each 2 goals, Andrej Vasilev and Samuel Naumovski 1.